They Turned On The Treadmill, But When The Cats Notice?? Just Watch Their Reactions, LOL!! If this isn’t the most hilarious moment ever, I don’t know what is – these cats keep up, even when the speed gets turned up and they don’t even want to leave. Most cats would be scared, but NOT these cats, hahaha! 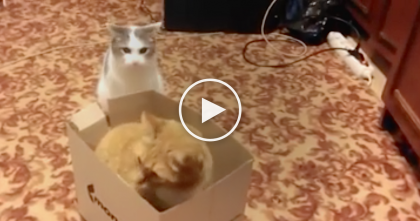 Kitty Guard Watches The Baby, But When He Tries To Come Out….Keep Watching, TOO Funny! 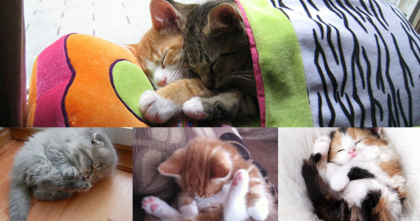 21 Pictures Of Sleepy Kittens That Are SOO Cute, Your Heart Will Smile… Awwww!!! Time For These Kitties To Get A Bath, But The Results? WOW, I Sure Didn’t Expect This! 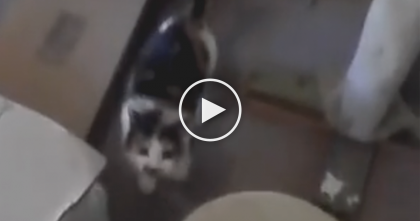 This Cat Let His Guard Down For Just One Second, But Then… SOO Funny, Just Watch! !